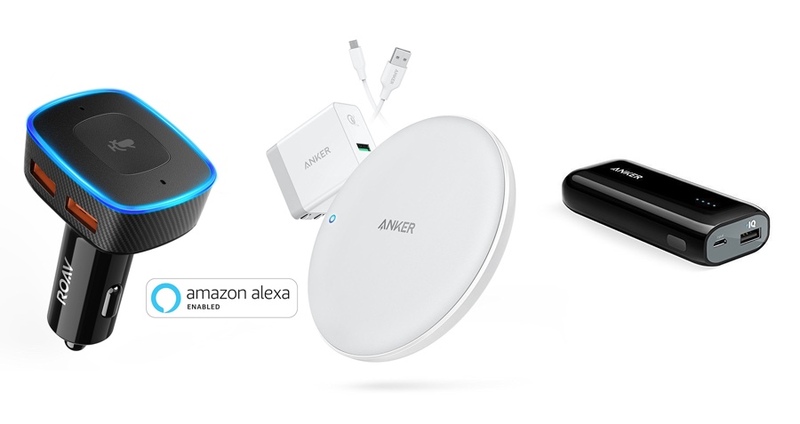 New Anker deals are now live and there are discounts on the brand new PowerWave wireless charging pad, PowerLine+ cables and a whole lot more. If you are into cables, then you can grab the PowerLine+ USB-C to USB-A too for a price of just $9.99. These are available in both red and gray color options and they look great as much as they are tough. Roav VIVA is seeing a discount too today. The Alexa-enabled smart car charger is down to just $39.99 from $49.99. I would highly recommend picking this one up if you are looking to add some smarts to your car. Anker’s famous ergonomic optical USB wired mouse is discounted too today. It’s down to just $11.99 from $14.99. It makes up for a nice little accessory to have with your notebook on the go. The iPhone 8 silicone case is discounted to $5.99 from $15.99 if you apply the code ANIP8599 at checkout. That’s not all, the iPhone 8 Plus Rise Case with kickstand is discounted too, with the price falling to $4.99 from $12.99 if you apply the code ANIP8499 at checkout. iPhone X users can pick up an Anker TPU case for as little as $3.99 if they apply the code ANIPX399 at checkout. Smart home products are discounted too. The Eufy HomeVac Duo is discounted to $75.99 from $109.99, the Eufy Lumi plug-in night light is down to just $15.19 whereas the 33-feet Eufy Starlit string lights are down to just $6.99.